All our most popular, super fresh meats into one whopping hamper so you can try us this January! 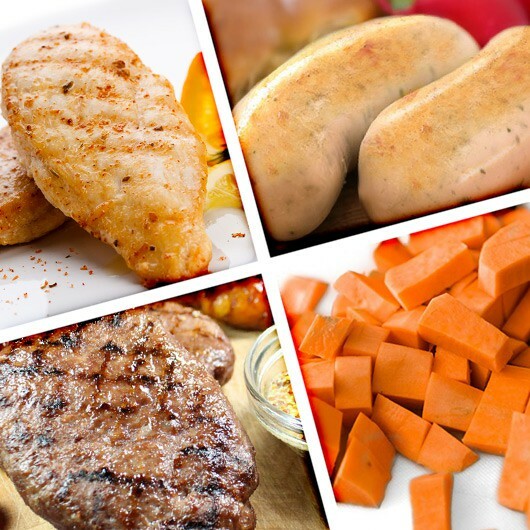 This stunning selection includes customer favourites, such as our Great Taste Award winning Chicken Breasts and irresistibly juicy Free Range Hache Steaks! We've also selected loads of our new top sellers, like our Chicken Sausages made from our award-winning Breasts and our super lean Low Fat Bacon Medallions! Does it get any better than this? Well, actually it does because we've even added beautifully fresh veggies - all completely GMO Free!